`It seemed a terrible shame to meet my end in Iowa; I couldn't imagine anywhere more disappointing to die. If I were a betting man I'd have reckoned on the most dangerous thing in this state being sheer boredom. The scenery hadn't changed for weeks and I was slowly dissolving into stimulation-deprived madness. My current predicament, then - attempting to escape through cornfields from a gun-toting alcohol-soaked rancher - was not something I expected. 'Just months after graduating from university, Leon received disastrous news: he had been offered a job. 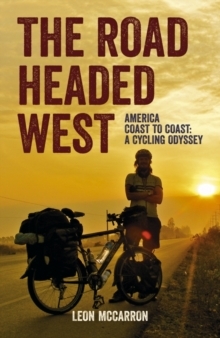 Terrified at the prospect of a life spent behind a desk, without challenge or adventure, he took off to cross America on an overloaded bicycle packed with everything but common sense. 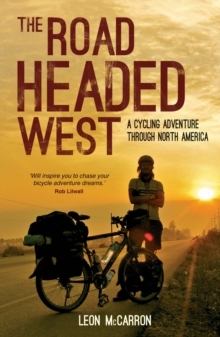 Over five months and 6,000 miles, Leon cycled from New York to Seattle and then on to the Mexican border, facing tornadoes, swollen river crossings and one hungry black bear along the way. 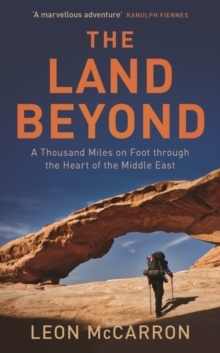 But he also met kind strangers who offered their food, wisdom, hospitality and even the occasional local history lesson, and learned what happens when you take a chance and follow the scent of adventure.